Inviting all Parents for the phenomenal BlogAdda Blog Awards. Parents nurture their kids and leave no stone un-turned to provide them with all that they deserve. Only they know what it actually takes to bring up a kid. No body can ever measure the efforts they put in and reckon their countless dreams they leave behind happily, unfulfilled. Only for their Kids. We, at Parentous, apprehend and appreciate your endeavor to be the best parents and also to cherish this community sharing your parenting anecdotes, tips and suggestions. It is time to reward you for all those additional efforts you make to pen down your Parenting experiences. 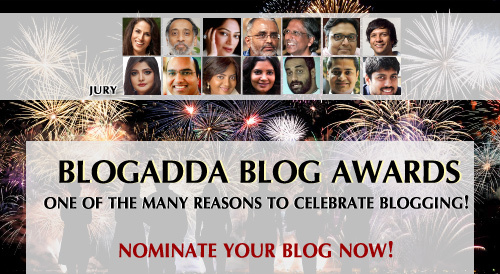 With immense pleasure, we bring to you the BlogAdda Blog Awards, where we celebrate blogging like never before! The awards aim to find the best blogs in India, recognise and honour them. Now nominate your parenting blogs and join us for the grand celebration. With a panel of Jury, that comprises of some of the best minds who will evaluate all the nominated blogs, we are here to reward those emerging gems in the sphere of blogging. Nominate your blog now and Celebrate Blogging!